Türkiye’de Anayasa değişikliğine yönelik 16 Nisan 2017 tarihinde gerçekleştirilen referandum çok tartışılmıştır. Kamuoyunu bilgilendirmesi beklenen yazılı basın, söz konusu referandum öncesinde ve sonrasında kampanyaları ve siyasi parti ile aktörlerin demeçlerini haberleştirerek bu görevi yerine getirmiştir. Basının manipüle gücü yüksektir. Dolayısıyla referandum kampanyaları ile siyasi parti ve aktörlerin demeçlerinin topluma nasıl sunulduğu önemlidir. Bu yüzden bu çalışmanın konusu 16 Nisan 2017’de gerçekleşen referandumun yazılı basında sunumudur. Bu çalışma yazılı basının referanduma ilişkin kampanyalar ile siyasi parti ve aktörlerin demeçlerine nasıl yaklaştığını anlamayı amaçlamaktadır. Çalışmada, Türkiye’de yayınlanan ulusal gazetelerden Sözcü ve Yeni Şafak gazetelerinin referandum öncesi ve sonrasında referanduma ilişkin yayınladığı haberler, içerik analizi yöntemi ile incelenmiştir. Aksoy, P. G. & Nisan, F. (2017). Türkiye’deki Terör Olayları Çerçevesinde Ankara Patlamaları Üzerine Bir İçerik Analizi Çalışması, TRT Akademi, 2 (3): 134-158. BBC. (2017). “Anayasa değişikliği referandumu: YSK kesin sonuçları açıkladı”, Web: http://www.bbc.com/turkce/haberler-turkiye-39736516, 27.04.2017. Berg, L. B. (2004). Qualitative Research Methods for the Social Sciences, Fifth Edition, Pearson Education, Inc, printed in USA. Carey, M. J. (2005). Presidential Versus Parliamentary Government, in Handbook of New Institutional Economics, pp. 91-122, C. M´enard and M. M. Shirley (Eds. ), © 2005 Springer. Cheibub, A. J. (1976). Systems of Government: Parliamentarism and Presidentialism, British Journal of Political Science 6, (04): 401-432. Cheibub, A. J. (2002). Minority Presidents, Deadlock Situations, and the Survival of Presidential Democracies, Comparative Political Studies, 35: 284-312. Croissant, A. & Merkel, W. (2004). Political Party Formation in Presidential and Parliamentary System, Friedrich Ebert Stiftung Philippine Office, Online Papers, Web: http://library.fes.de/pdf-files/bueros/philippinen/50072.pdf, 26.04.2017. Değer, K. (2017). Olağanüstü Durum Haberciliğinin Atatürk Havalimanı Terör Eylemi Üzerinden İncelenmesi, TRT Akademi, 2 (3): 98-115. Ellis, A. (2007). The Use and Design of Referendums an International Idea, Working Paper, presented at “Seminary of reflection on the importance and use of mechanisms of direct democracy in democratic systems”, celebrated on May 25th, 2007, at San José, Costa Rica and organized by International IDEA and the Electoral Supreme Tribunal of the Republic of Costa Rica. Elo, S. & Kyngäs, H. (2008). The Qualitative Content Analysis Process, Journal of Advanced Nursing, 62 (1): 107-115. Engedayehu, W. (2016). An Exploratory Study on the Restructuring of the System of Government in Ethiopia, and the Search for an Electoral System best suited for Democratic Governance, International Journal of Humanities and Social Science Review, 2 (6): 1-17. Franzosi, R. (2008). Content Analysis: Objective, Systematic, and Quantitative Description of Content, In R. Franzosi (Eds. ), Content Analysis (Vol. I). Thousand Oaks, CA: Sage Publications. Gerring, J. & Thacker, C. S. (2004). Political Institutions and Corruption: The Role of Unitarism and Parliamentarism, B.J.Pol. S.34, 295-330, Cambridge University Press. Hopkin, J. (2006). Conceptualizing Political Clientelism: Political Exchange and Democratic Theory, Paper prepared for APSA annual meeting, Philadelphia, 31 August – 3 September 2006. Panel 46-18 ‘Concept Analysis: Unpacking Clientelism, Governance and Neoliberalism’. Hsieh, F. H. & Shannon, E. S. (2005). Three Approaches to Qualitative Content Analysis, Qualitative Health Research, 15 (9): 1277-1288. Krippendorff, K. (1989). Content Analysis, In E. Barnouw, G. Gerbner, W. Schramm, T. L. Worth, & L. Gross (Eds. ), International Encyclopedia of Communication (1): 403-407, New York, NY: Oxford University Press. Lacy, D. & Niou, S. M. E. (2000). A Problem with Referendums, Journal of Theoretical Politics 12 (1): 5-31, Sage Publications. LeDuc, L. (2000). Referendums and Elections: How Do Campaigns Differ?, Prepared for presentation at the workshop: Do Campaigns Matter? The Political Consequences of Modern Electioneering, European Consortium for Political Research, University of Copenhagen, April 14-19, 2000. Mcquail, D. (1983). Mass Communication Theory: An Introduction, Third Edition, Sage Publications. Mainwaring, S. (1990). Presidentialism, Multiparty Systems, and Democracy: The Difficult Equation, Working Paper #144 - September 1990, Kellogg Institute The Helen Kellogg Institute For International Studies. Martinez, M. R. (1999). Semi-presidentialism: a comparative study, ECPR Joint Sessions Mannheim, 26-31 March 1999, Workshop no 13: Designing institutions, Directors: Eva Anduiza & Simon Hug. Mayring, P. (2014). Qualitative Content Analysis: Theoretical Foundation, Basic Procedures and Software Solution, Web: http://nbn-resolving.de/urn:nbn:de:0168-ssoar-395173, 14.05.2017. Middleton, M. (2009). Social Responsibility in the Media, Center for International Media Ethics CIME Oxford University PCMLP March 2009, Web: http://www.caluniv.ac.in/global-mdia-journal/DOCOUMENT/Document%206.pdf, 13.05.2017. Nerone, J. (1995). Social Responsibility Theory, in Last Rights: Revisiting Four Theories of the Press, University of lllionis Press, Urbana, pp. 77-124. Öncel, K. G. (2013). Türkiye’de Soruşturmacı Gazetecilik, Evrensel: İstanbul. Özbudun, E. (2012). Presidentialism vs. Parliamentarism in Turkey, Policy Brief 01, Global Turkey in Europe, Web: http://ipc.sabanciuniv.edu/en-old/wp-content/uploads/2012/07/GlobalTurkeyInEurope2.pdf, 28.04.2017. Prasad, D. (2008). Content Analysis: A method in Social Science Research, İn D.K. Lal Das (ed) Research Methods for Social Work, (pp.174-193), New Delhi: Rawat Publications. Shugart, S. M. (2005). Semi-Presidential Systems: Dual Executive And Mixed Authority Patterns, French Politics, 2005, (3): 323-351, © 2005, Palgrave Macmillan Ltd. Sputnik Türkiye. (2017). “CHP, YSK'nın 'mühürsüz oy' kararının iptali için bugün Danıştay'a başvuruyor”, Web: https://tr.sputniknews.com/turkiye/201704211028175671-chp-ysk-muhursuz-oy-danistay/, 21.04.2017. Tsukamoto, S. (2006). Social Responsibility Theory and the Study of Journalism Ethics in Japan, Journal of Mass Media Ethics, 21 (1): 55-69. Uras, G. (2016). “Başkanlık sistemi nedir, ne getirir?”, 23.10.2016, Web: http://www.milliyet.com.tr/yazarlar/gungor-uras/baskanlik-sistemi-nedir--ne-getirir--2332465/, 27.04.2017. Veser, E. (1997). Semi-Presidentialism - Duverger’s Concept - A New Political System Model, Journal for Humanities and Social Sciences, 11 (1): 39-60. Zucco, C. (2013). Legislative Coalitions in Presidential Systems: The Case of Uruguay, Latin American Politics and Society 55 (1): 96-118. ISNAD YEGEN, Ceren . "YAZILI BASINDA 16 NİSAN 2017 REFERANDUMUNUN SUNUMU". 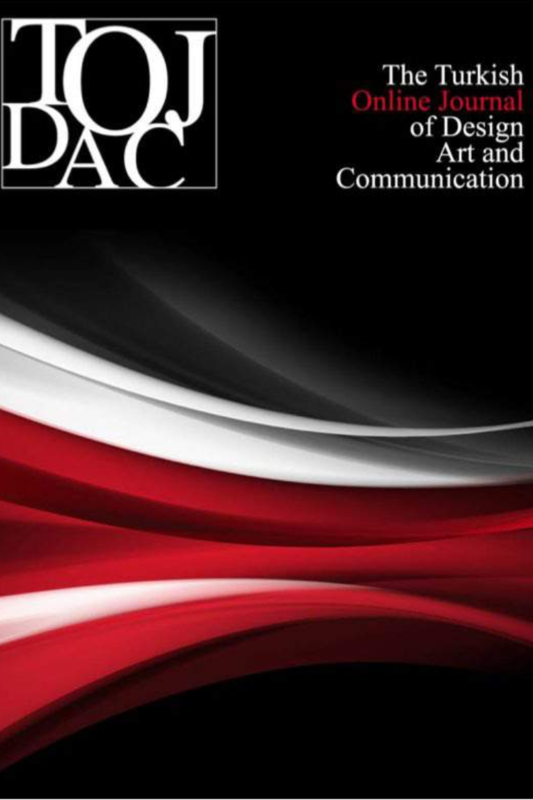 The Turkish Online Journal of Design Art and Communication 8 / 2 (April 2018): 178-189.